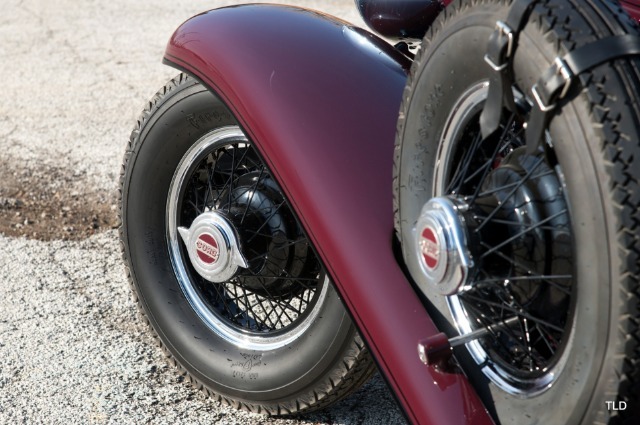 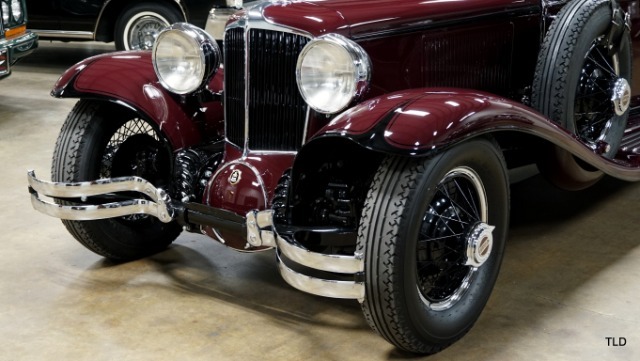 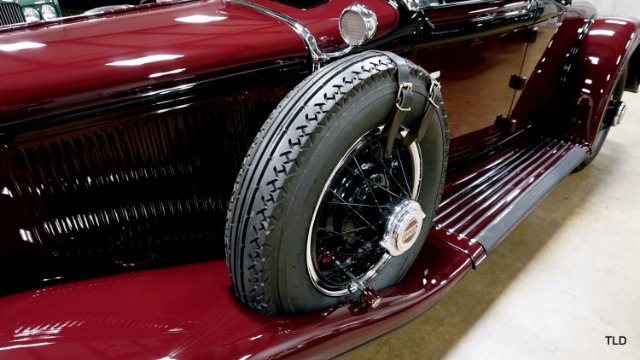 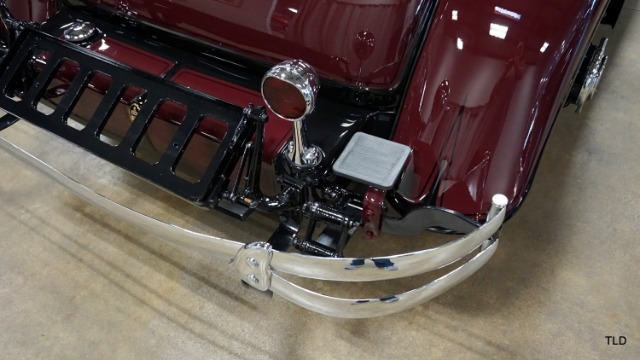 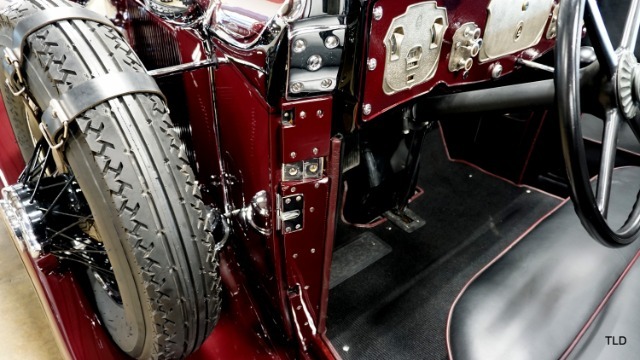 In the summer of 1929, E. L. Cord introduced his fabulous new creation; the front-wheel drive Cord L-29. 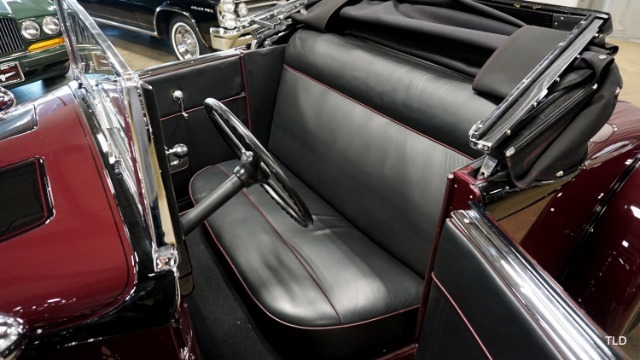 The L-29 was offered initially in Sedan, Brougham, Phaeton, and sporty and elegant Cabriolet form, at prices initially ranging from $3,095 to $3,295. 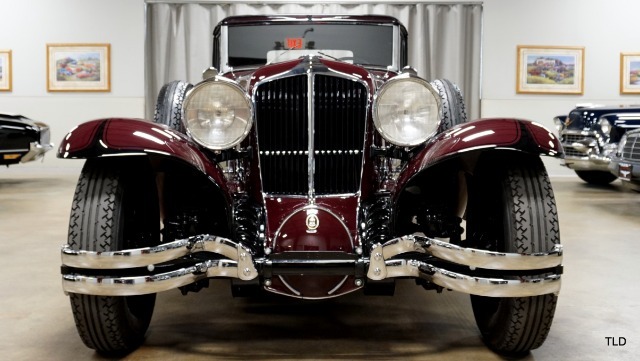 Unfortunately for Cord, just as his newly launched car was reaching dealer showrooms, the Wall Street stock market crash of October 1929 devastated new car sales, especially in the upper section of the market the new Cord was targeted to. 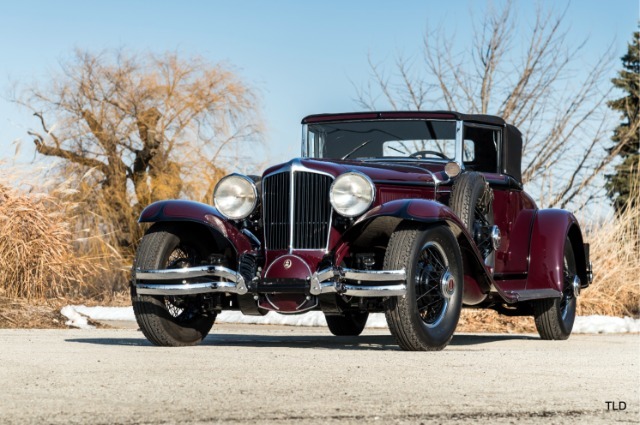 Despite a program of price cuts, sales never took off and the world's first practical front-wheel-drive production car was discontinued in 1932. 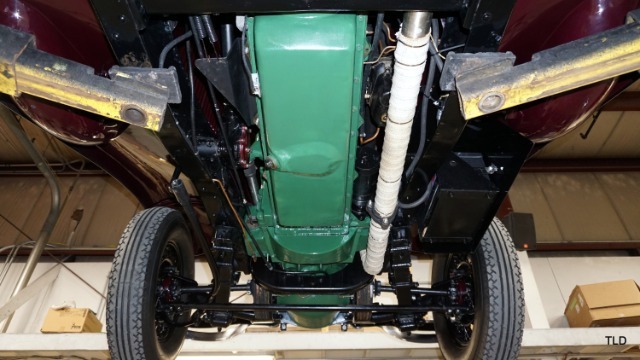 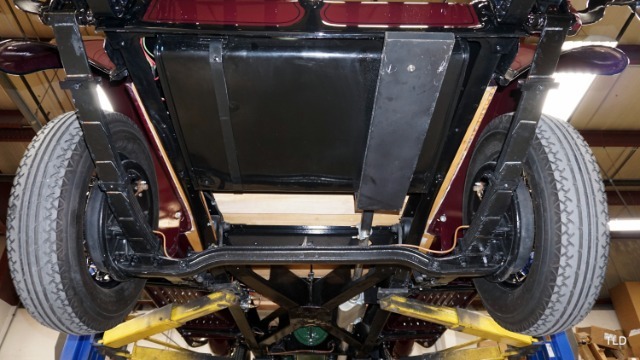 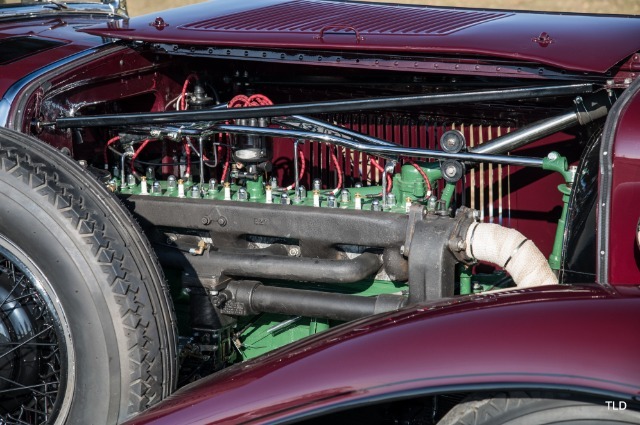 Including cars supplied in chassis form to independent coachbuilders, only 5,010 L-29s were built, of which it is thought that around 300 of all types exist today. 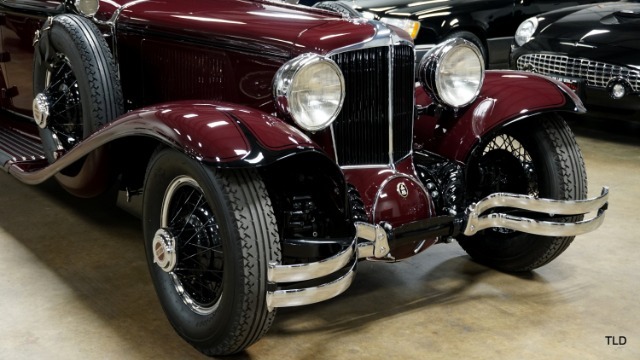 This stunning L-29s history can be traced to Cincinnati, Ohio when a Mr. Huffrey purchased this classic for $750 in 1946. 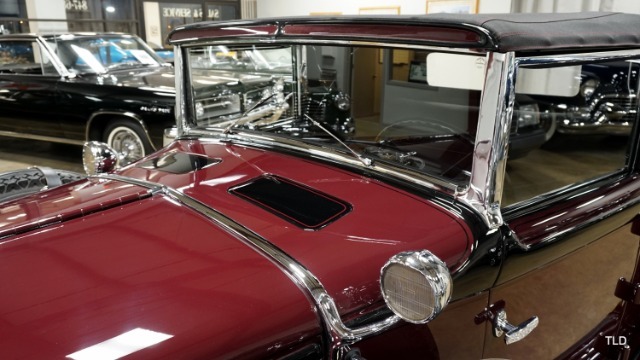 After changing ownership several times, it was acquired by Mr. Jerry Fisher of Piqua, Ohio. 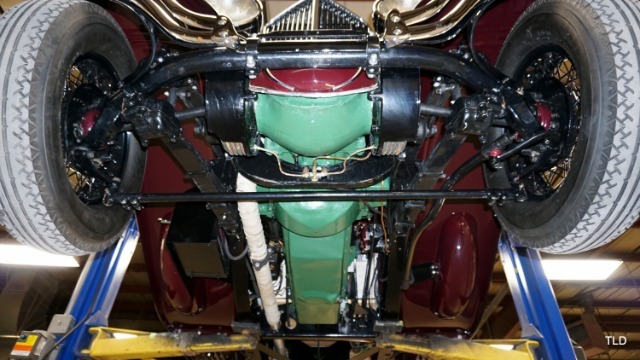 In 1969, an amateur restoration was performed by Mr. Hubert Wood of South Charleston, Ohio. 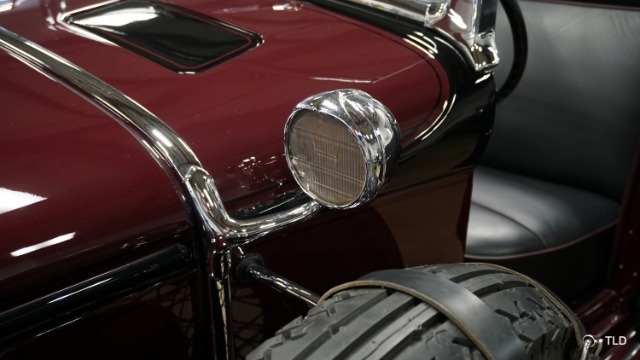 A collector purchased the L-29 in 1980 and drove it to the western part of the United States, where it was kept in a private museum collection until 2013. 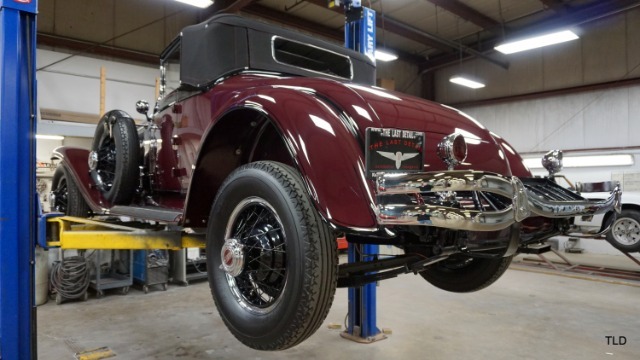 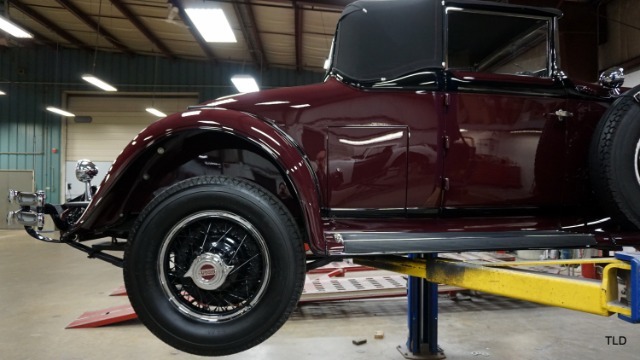 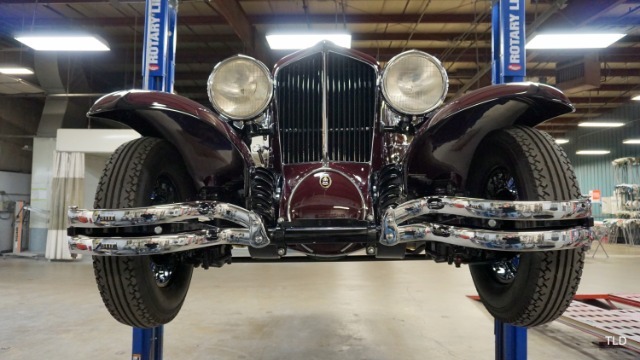 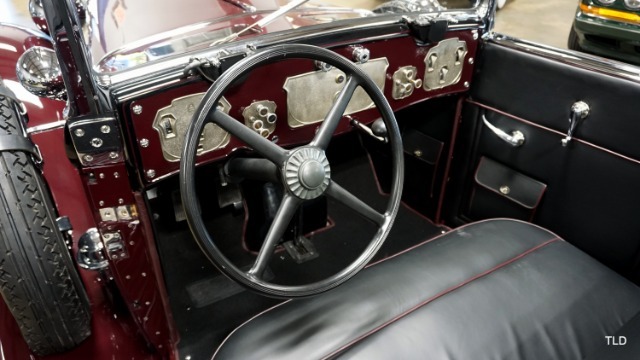 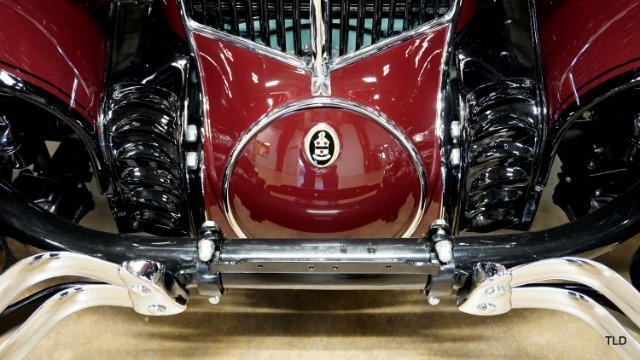 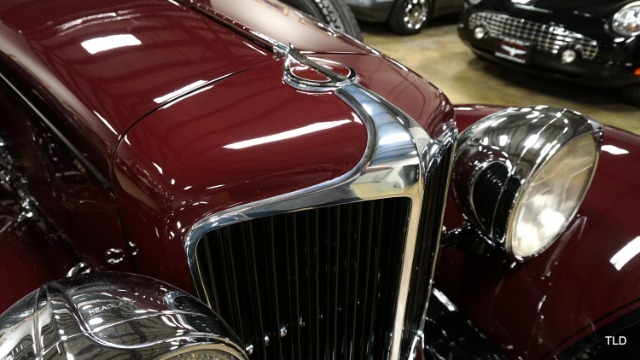 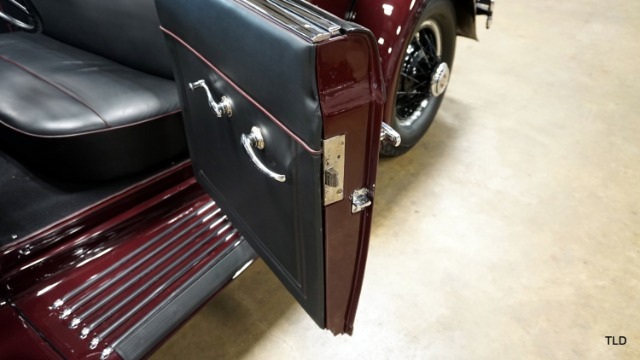 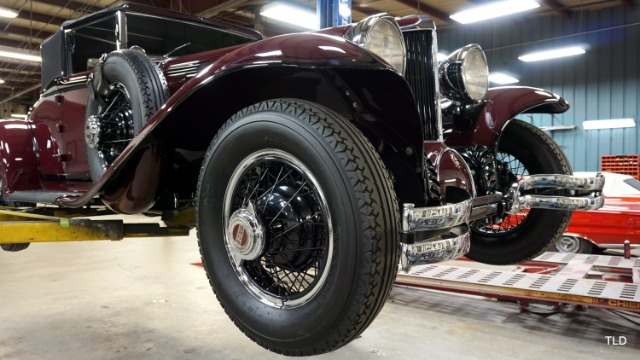 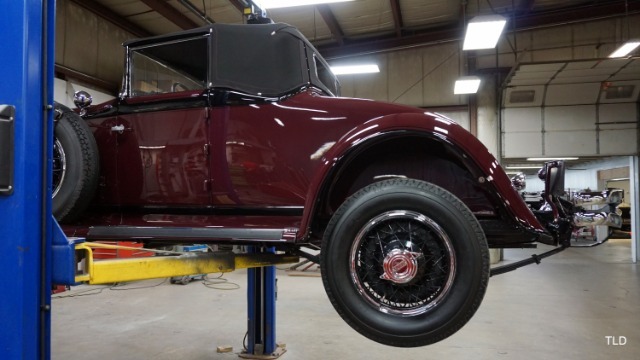 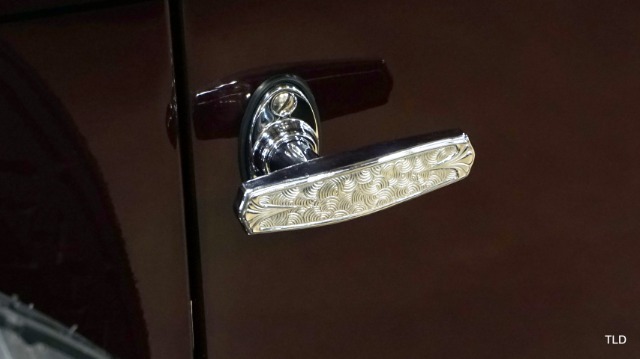 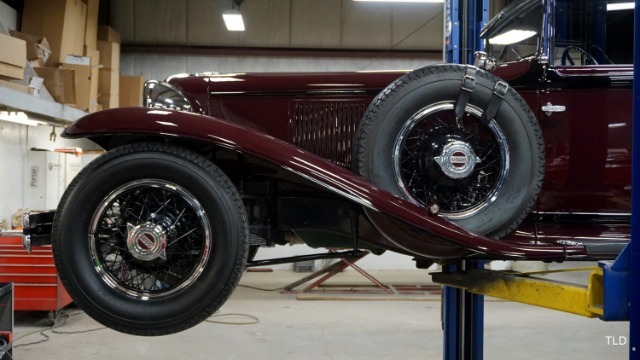 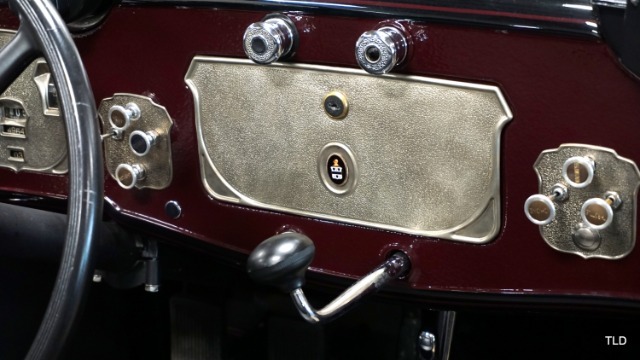 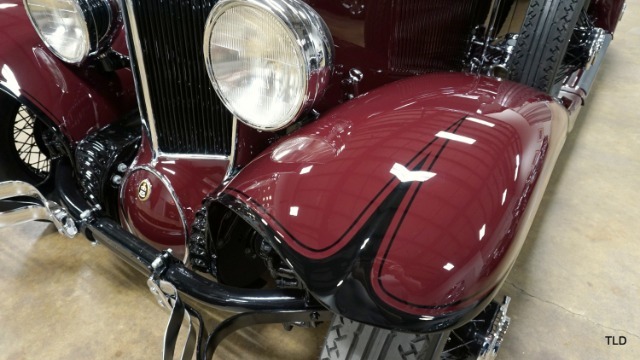 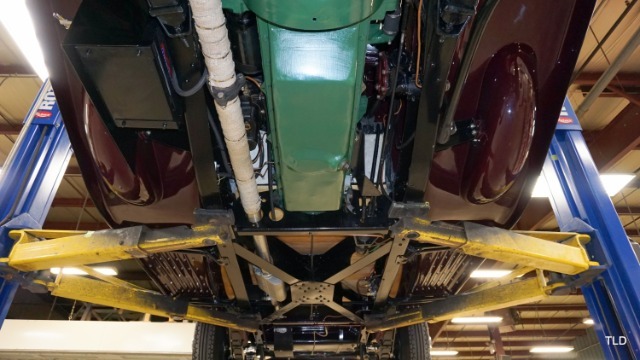 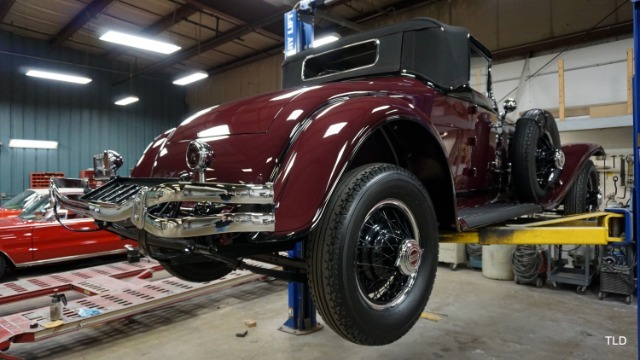 The subsequent owner commissioned Packard and Classic Cars of Bremen, Germany to perform a comprehensive restoration. 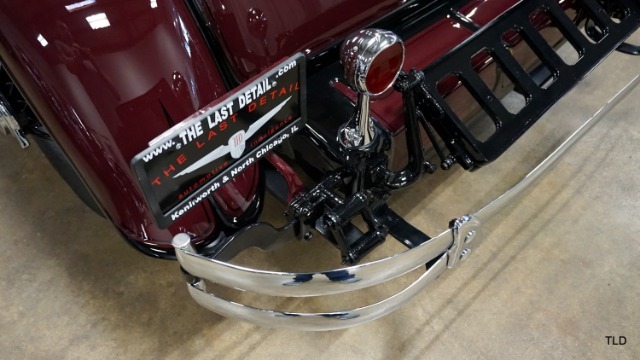 The detailed, authentic, and through restoration included a complete teardown to the frame, which was sandblasted and powder-coated. 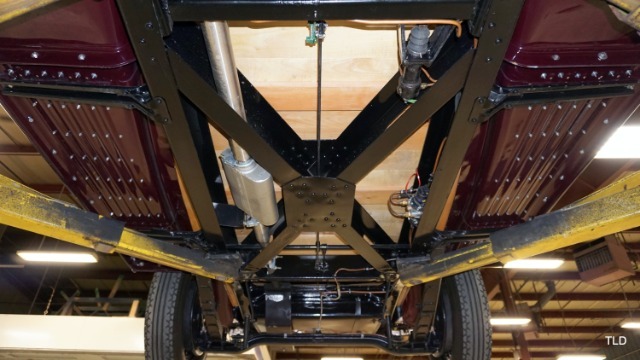 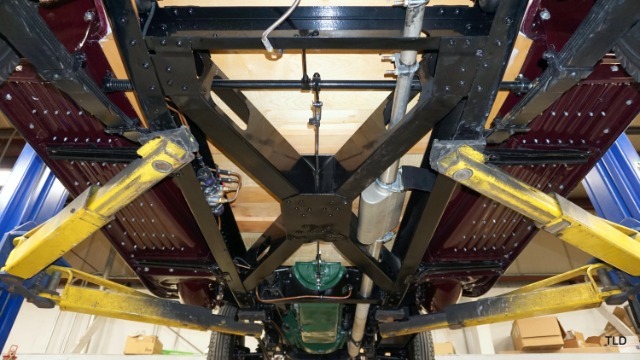 The axles, springs, and all related suspension and undercarriage components were sandblasted and repainted as well. 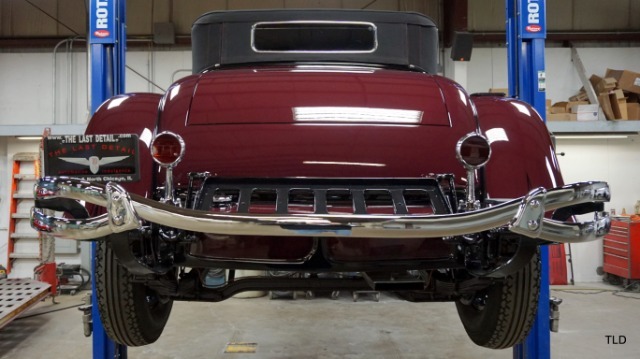 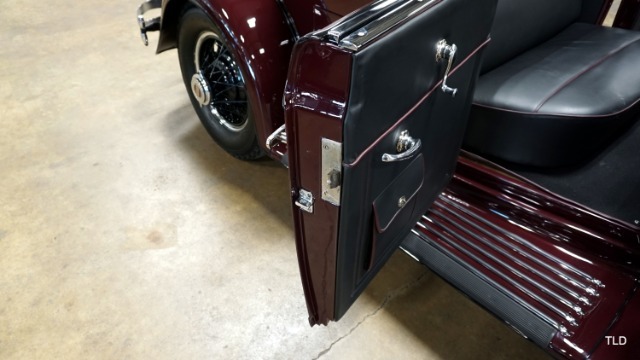 All the cars sheet metal, fenders and running boards were expertly refinished to show quality, new structural woodwork fitted as needed, and all body panels properly fitted and gaps checked before being painted and clear-coated four times to achieve a stunning mirror-gloss finish. 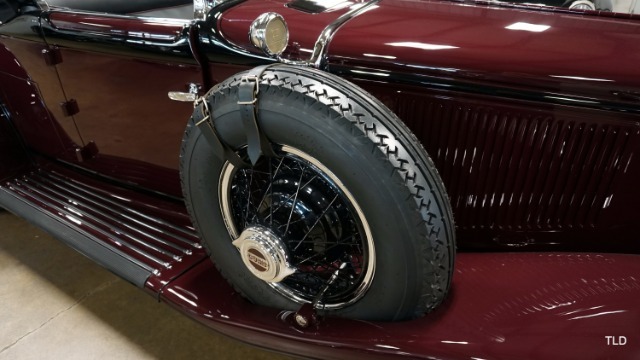 The wire wheels were repainted black with four coats of clear as well. 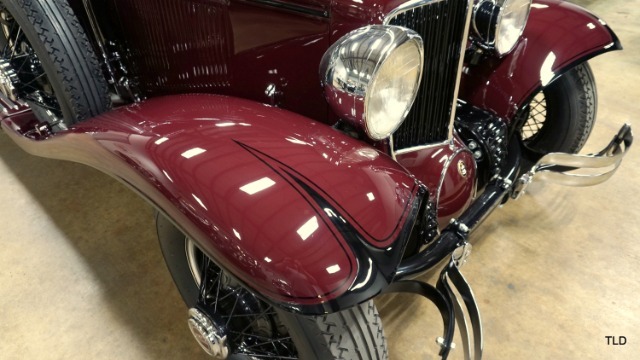 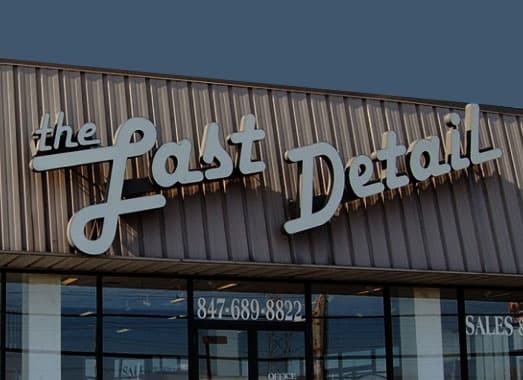 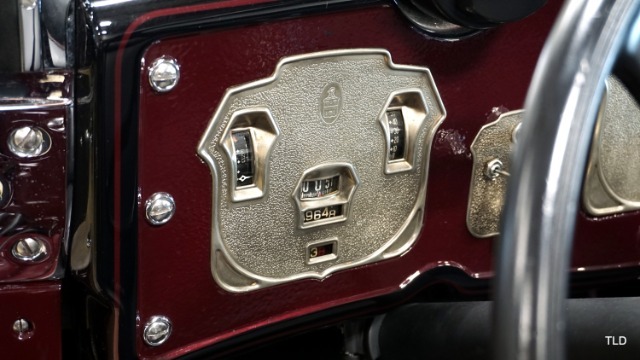 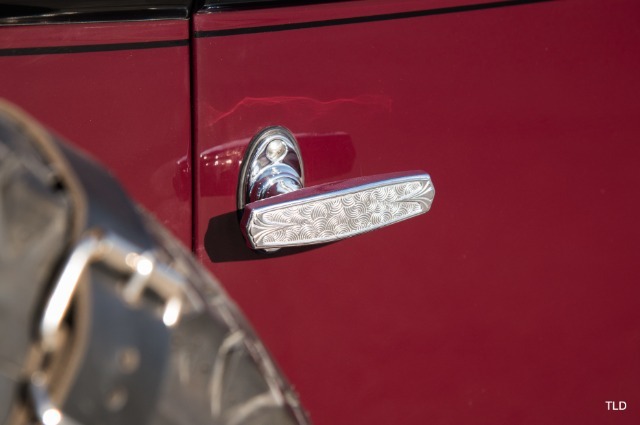 The beautiful chrome and brightwork were restored and polished to perfection. 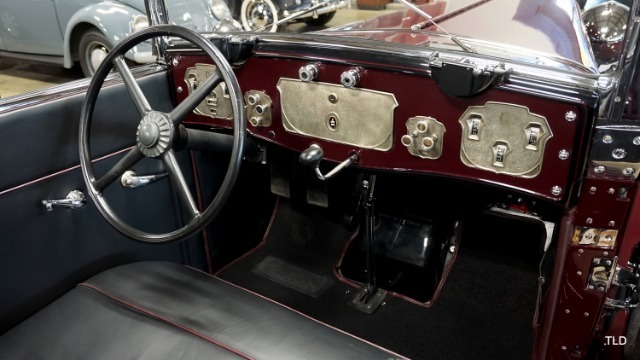 The dash was completely disassembled and rebuilt, and all new period-correct wiring harnesses were crafted and installed. 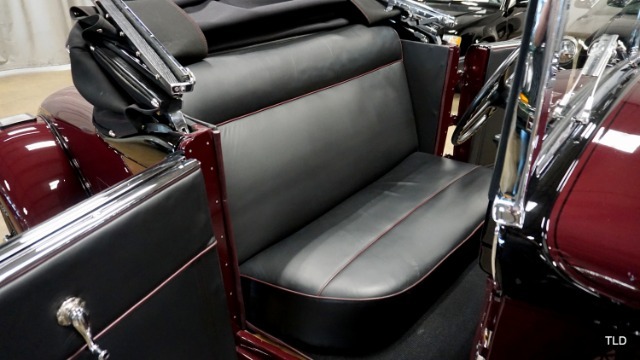 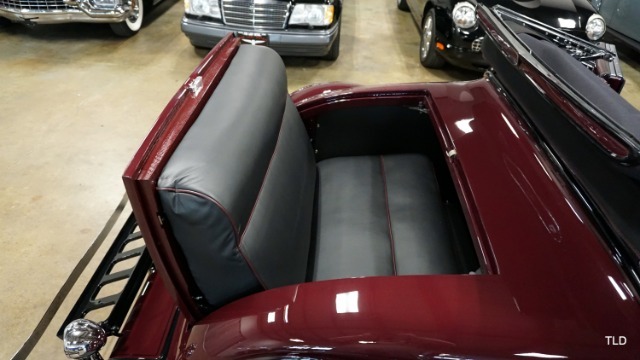 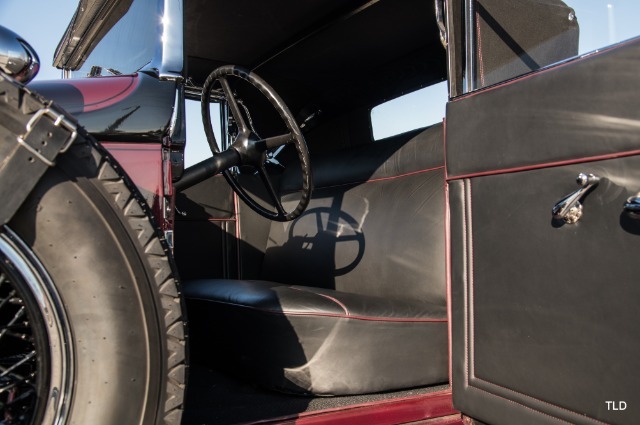 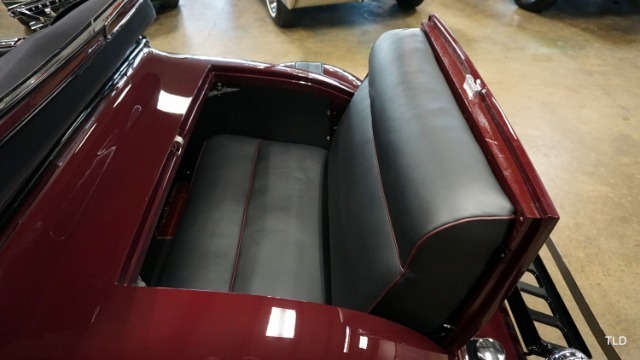 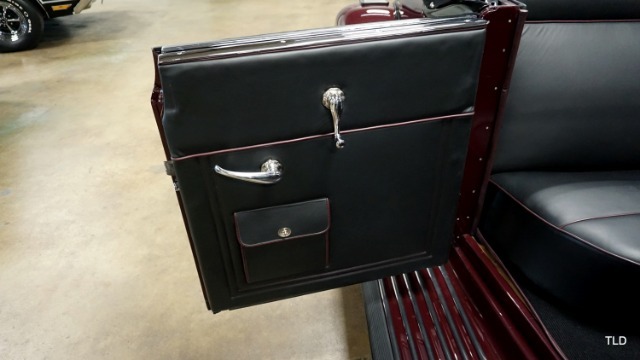 A new leather interior, including the rumble seat, was carefully created from the original patterns, and accented with smart dark red piping. 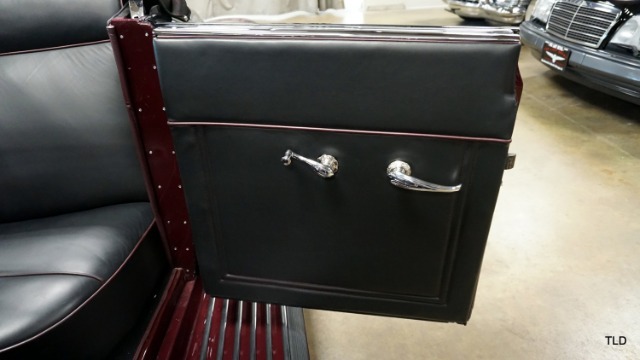 A new black canvas convertible top, featuring contrasting red stitching, was fitted over newly crafted wooden top bows. 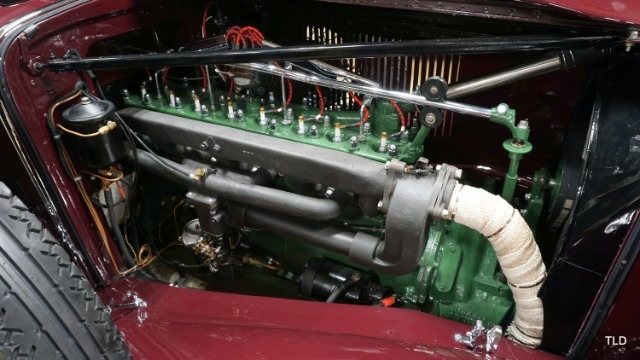 Wanting to have this classic run and drive as well as it looks, a full overhaul of all mechanical systems included a rebuild of the 298.6 cubic-inch L-head engine, including new Babbit-type bearings, installation of a new camshaft, polishing and balancing of the crankshaft, and having the cylinder block bored and honed and the head planed. 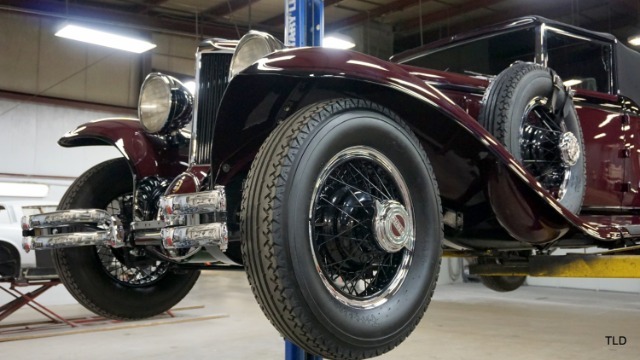 The three-speed manual transmission was cleaned and inspected, and a new clutch and pressure-plate were fitted. 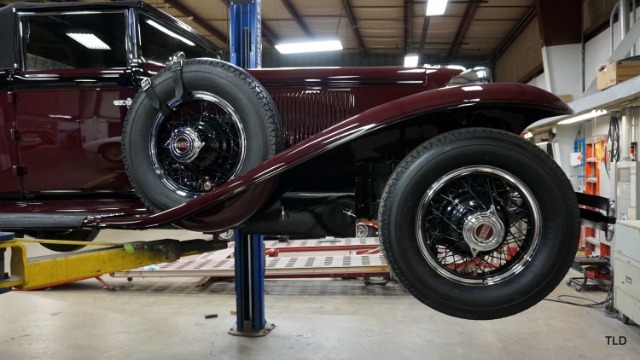 A full rebuild of the front suspension system featured custom-made front ball joints hardened to original specifications. 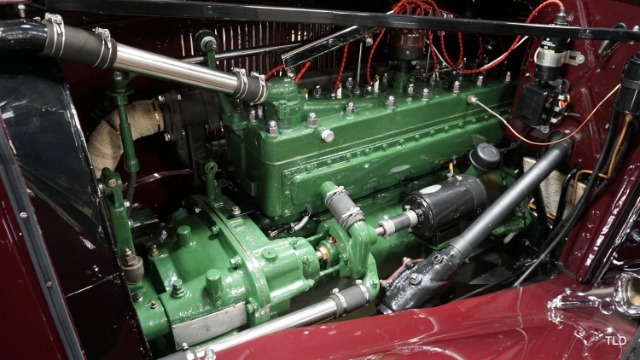 The starter, generator, cooling system, and water pump were rebuilt and a new radiator installed. 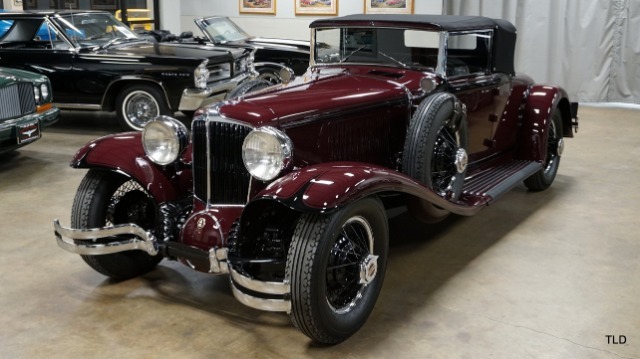 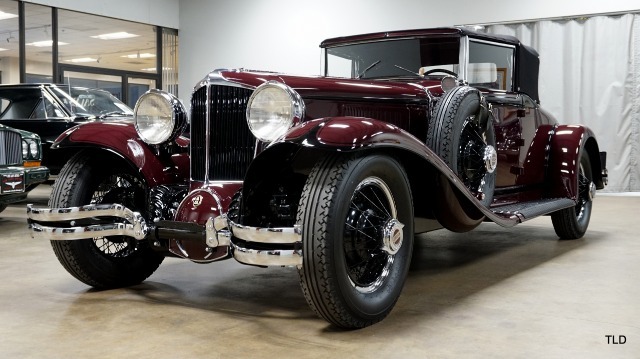 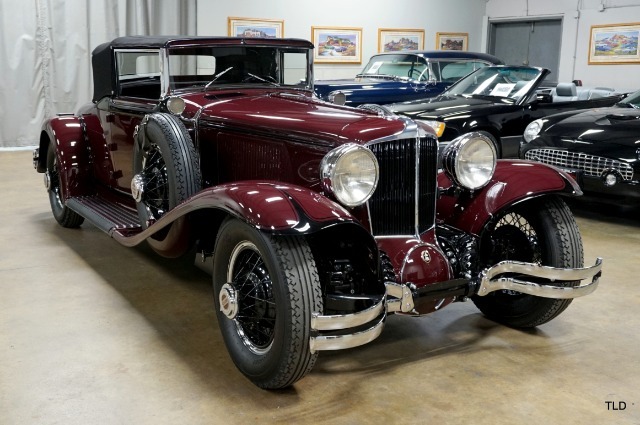 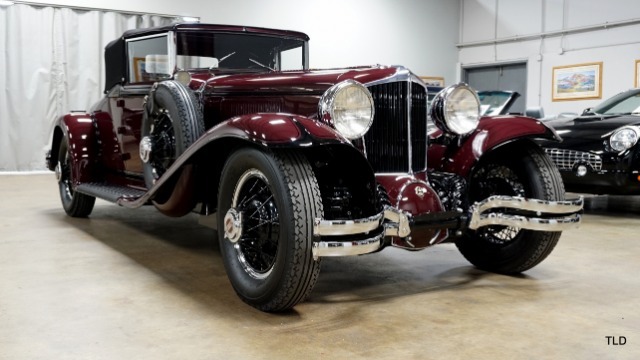 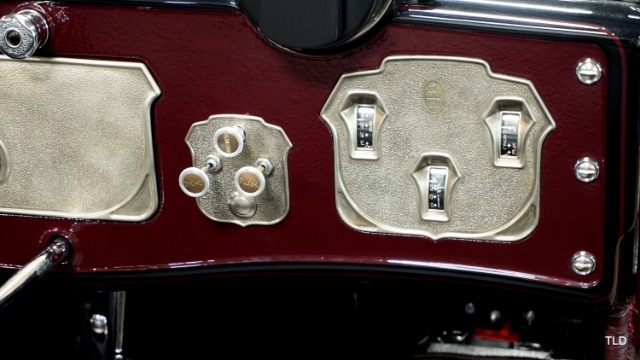 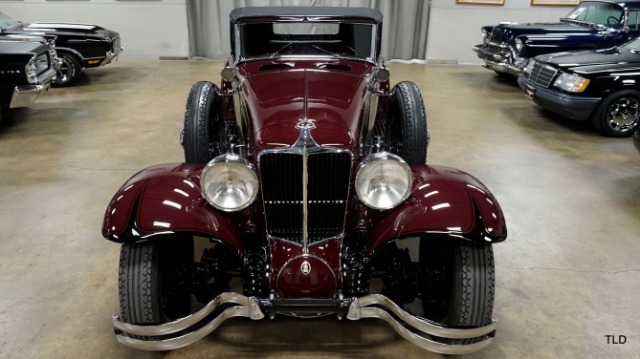 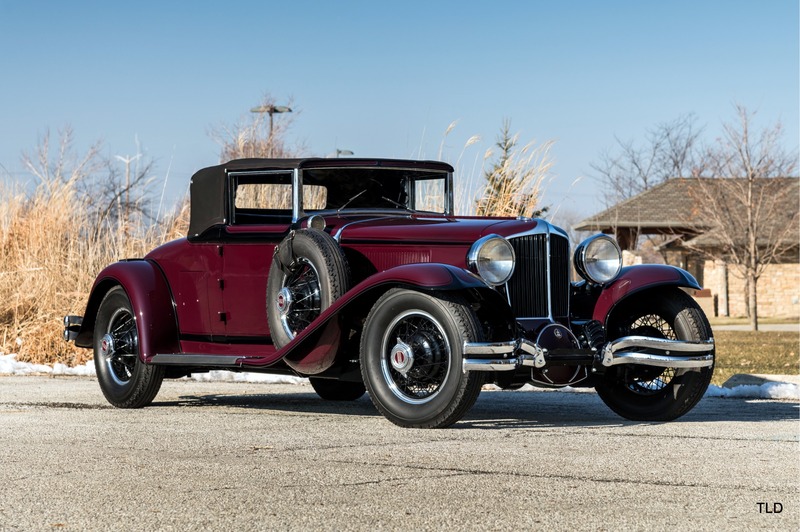 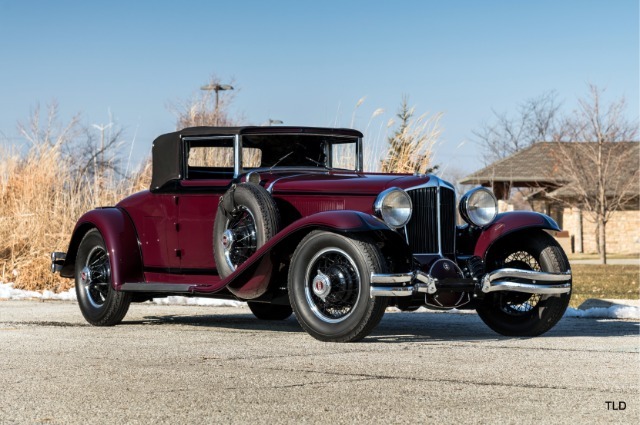 Of particular importance to collectors, this Cord L-29 still retains its original body tags, serial numbers, chassis, engine, and cabriolet body, making it eligible for concours exhibition and many Auburn-Cord-Duesenberg Club events. 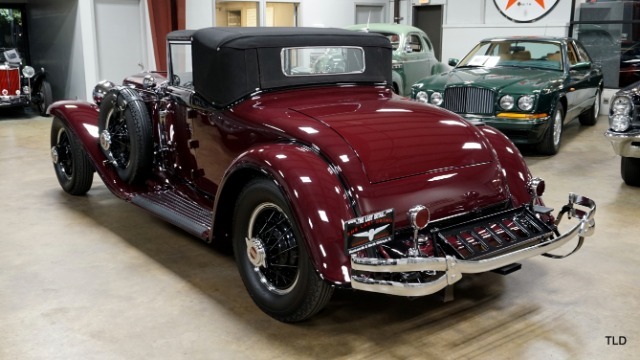 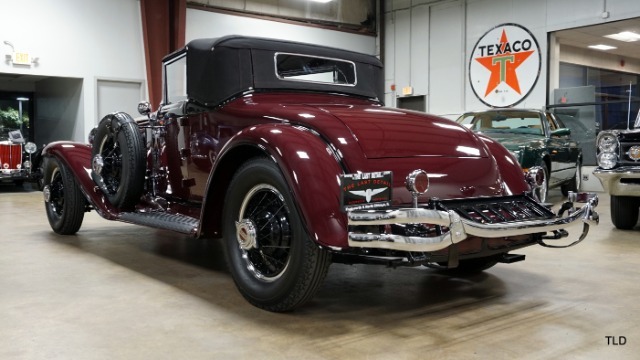 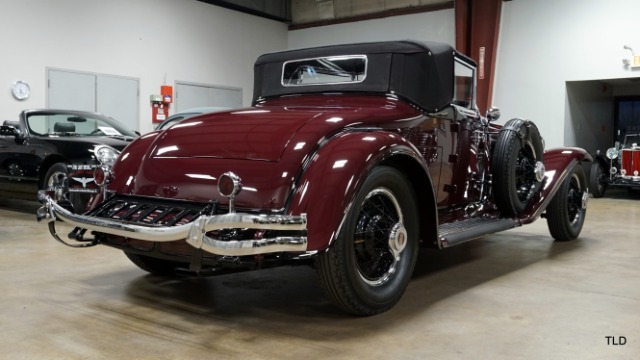 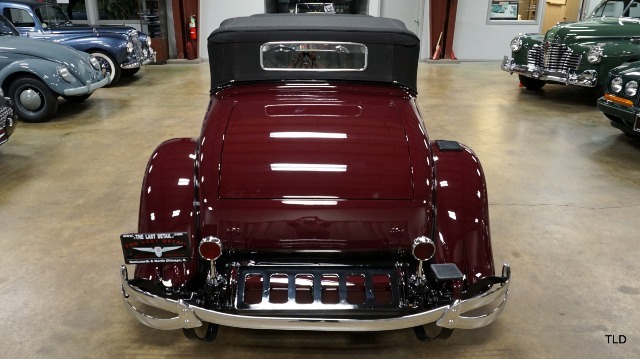 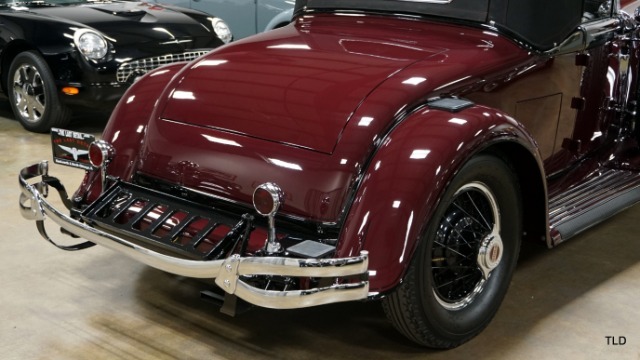 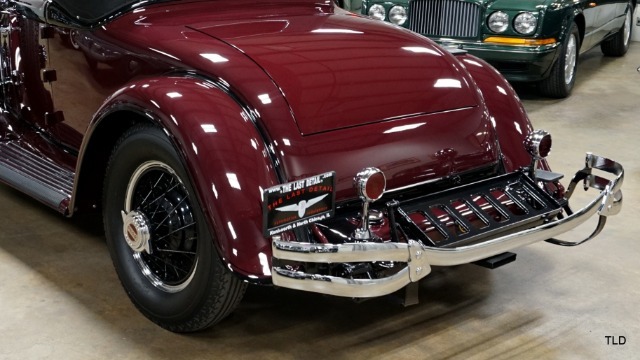 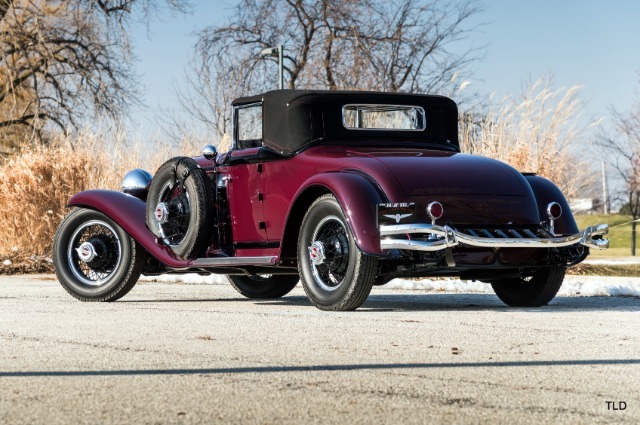 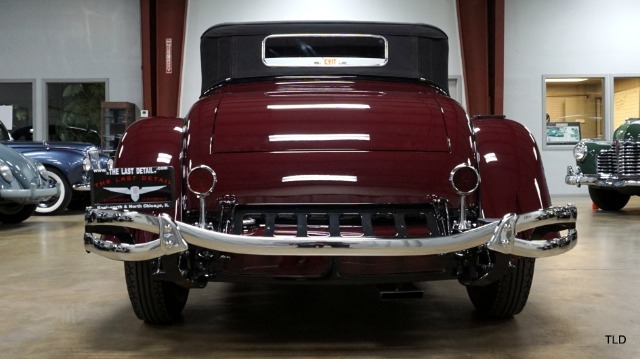 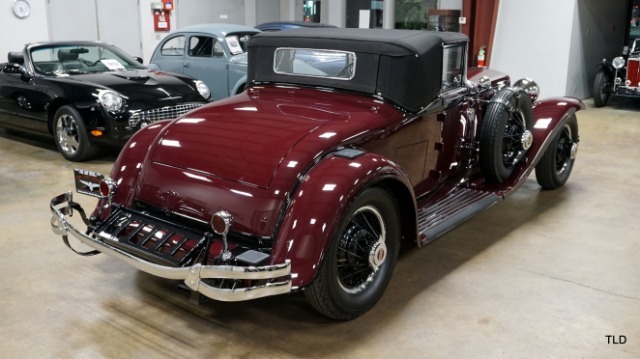 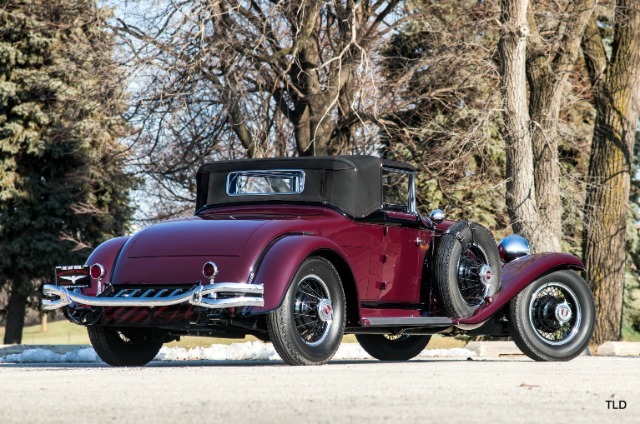 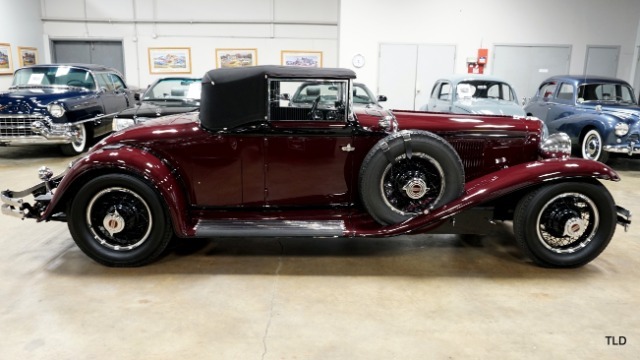 Clearly benefiting from the recently completed, show-quality restoration, and comprehensive mechanical overhaul, this exceptional Full Classic� L-29 Cord Cabriolet features a wonderful color combination and is ideally suited for the show field and touring enjoyment the choice, is yours.